How Do You Make the Sale Doing A GCM Inquiry Over the Phone? Aging Life or Geriatric Care Managers risk losing money & time by going out to do an inquiry before getting a contact and deposit from a potential client. Learn how to MAKE THE SALE with a complementary consultation over the phone and get the deposit and contract signed before you see a client who might decline your services after you spend 4 wasted hours driving and doing a geriatric assessment and then come up empty handed. 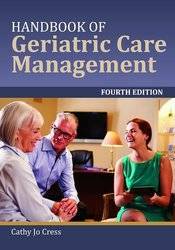 How To Do A Geriatric Care Management Inquiry and Make the Sale? As a geriatric care manager, do you want to convert clients from 90% of the aging family members who call, inquiring about services? The winning secret is to do the inquiry in 2 steps. 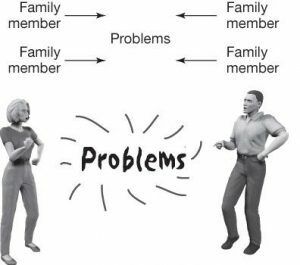 The first is taking information about the client, most critically the “Immediate problem” the caller wants you to solve. Then offer a 30-minute complementary consultation. The second step is to do a ” 30 minutes Complementary Consultation” and in that brief time show how you would solve the immediate client problem, by outlining a basic care plan. This takes being able think on your feet, and quickly study the problem and come up with a barebones winning care plan to show the caller why they should choose you over another care manager they may call. The aging Dysfunctional family caller especially needs that approach, plus following a list of ways to manage their anger, blaming, overreaction and prevent them from turning down your services and not being that wished for new clients. How Do You Do A Care Management Inquiry With The Entitled Family ? 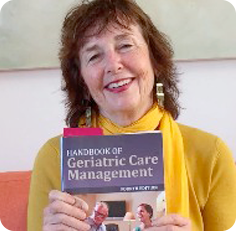 Entitled families often call geriatric care managers to inquire about services.Aging Life or Care Manager’s want their business.They are in the top 10% and the clients you need to make a profit. But in order to make the sale at the inquiry you must understand how to sell to them. Find out skills to sign them up as clients. Do You Wish You Bill More As a Private Care Manager? Social workers and nurses who are private geriatric care managers can be the victims of their own ethics. Trained to give services away and now they must now bill clients. That is called an ethical dilemma. Nursing education and training teach you to serve the patient. Social work schools prepare you to deliver services to those who need help. Neither requires the MBA ethic of profit. Now you have a business that depends on your skills including you training in billing. We often fall so short we go out of business. Join me Wednesday November 16 at 11am Pacific Time and convert you and your staff to a profitable fee for service mindset. 3. Blog Why Do You Need Sales Skills To Do A Care Manager Inquiry?